My love for books and libraries will never end! Well, I hope you saved up some of your overflowing love from Valentine's Day. I know you went all out on the 14th with candy, flowers, valentines, movies and more, but hopefully you kept in mind that there is more to celebrate this month. 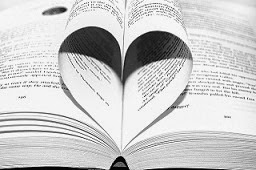 Most importantly, obviously, is that it is Library Lovers' Month during February. So, of course, you need to show us your love! Stop by the Roselle Public Library and check out books, movies, video games, and more. The more you check out and enjoy, the more you show us just how much you love us! Get the whole family in on it and get the kids excited to check out materials. You know, we are still going strong with our Winter Reading Program, Catch a Dragon by the Tale. There is still time to sign up, read, and get prizes just for reading. The program ends on February 27th, so what are you waiting for?!? Get your kids excited to visit the library, read as a family, and then collect prizes - I can't think of a better way to spend these cold winter days. And the best part is that it shows us that you love the library. Don't deny it - we know you do! Now, it just so happens that it will also be a long weekend since Presidents Day is on February 16th. So while you're here picking out books, movies, and more for the three day weekend, you may want to check out some fabulous biographies on George Washington or Abraham Lincoln, or any other president that you find interesting. 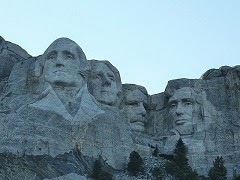 These are men who formed our nation and helped make it what it is today. From picture books, to easy readers, to chapter books, we have something for everyone about these greats in our American history. So, as the temperature dips down, warm up at the library with some great books, movies, and more, and show us just how much you love us during Library Lovers' Month!